What an exciting day we had on February 27th! 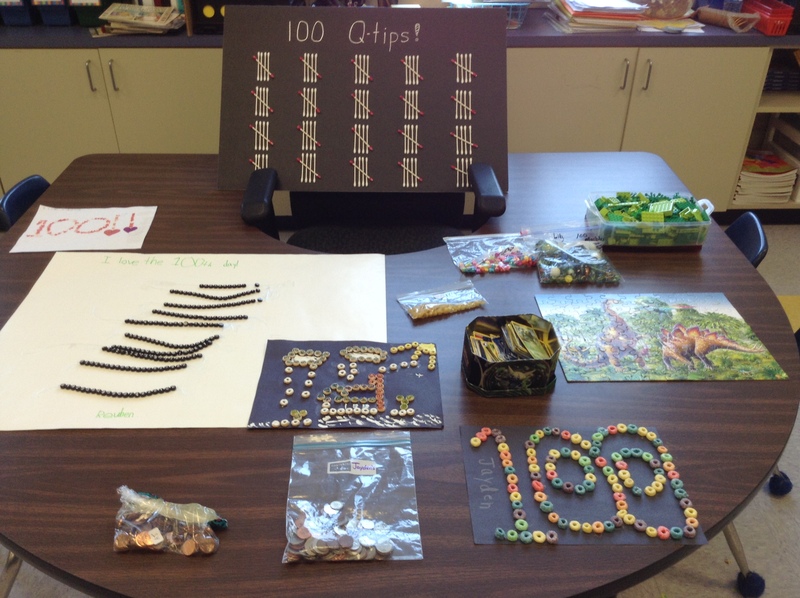 Students shared their collections of 100 items displayed around the Governor’s table. 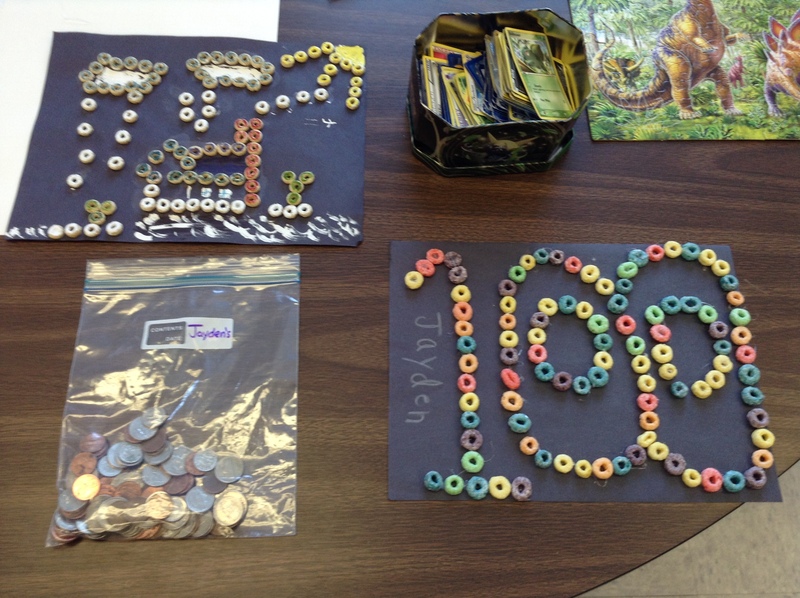 Then, we all dumped in our collection of 100 treats into a bowl to make our trail mix. 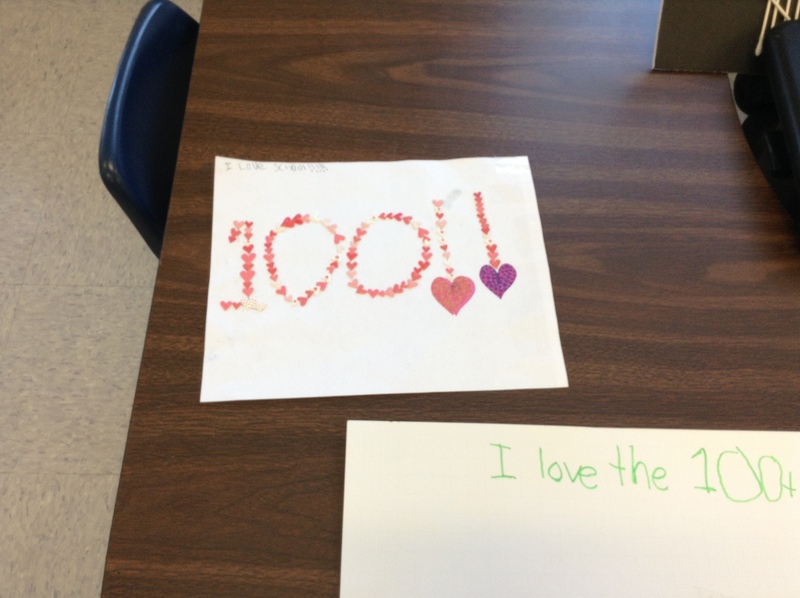 We read 100 School Days and shared our letters with Jayden, the “star of the week.” During Readers’ Workshop everyone took the “100th day challenge” by seeing how many words they could write in 12 minutes. 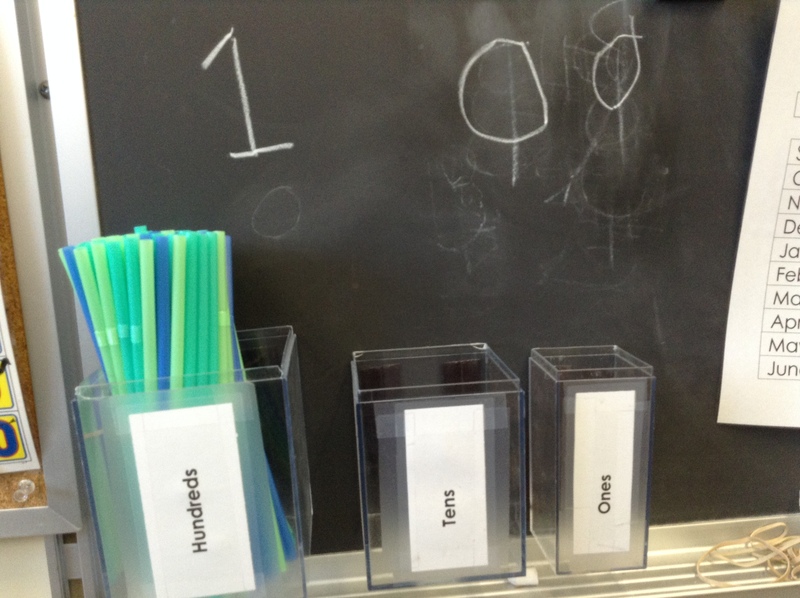 Before lunch we also read Hooray for the 100th Day! After recess everyone wrote the number 1 on an empty paper plate. 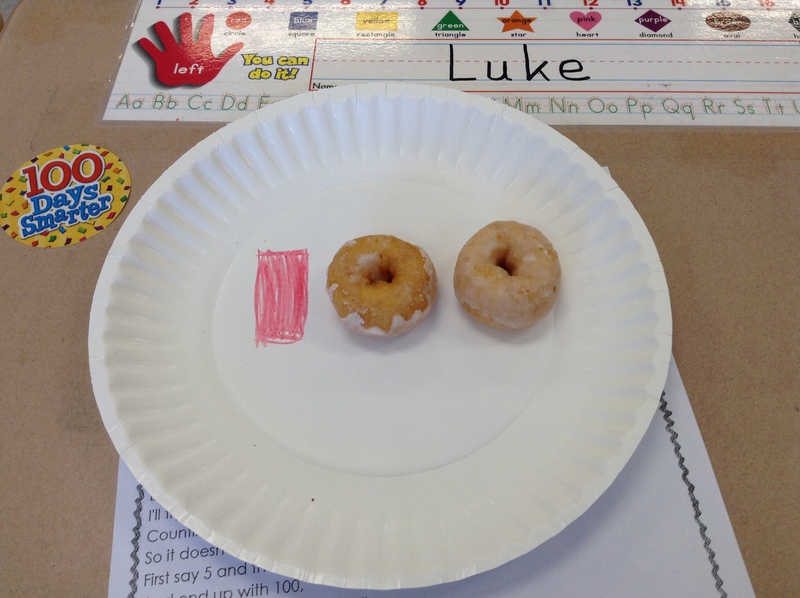 Then, they were happily surprised with two mini donuts to make “100.” Next, we got our energy out with some singing and stretching while watching the YouTube video “Let’s Get Fit / Count to 100.” https://www.youtube.com/watch?v=0TgLtF3PMOc Then, we had the big exciting moment of moving our 10 bundles of 10 straws from the tens place cup into one bundle of 100 into the hundreds place cup. During math they had two special rotations. 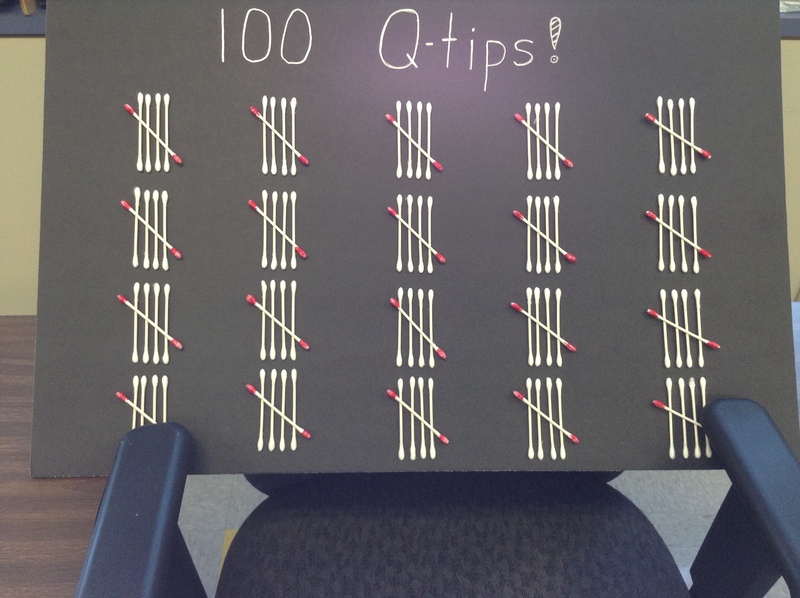 They had to fill in the blanks in a 1-100 number grid and then they could choose a sheet of stickers to fill an empty 1-100 number grid. Then, they had to work in a team of 5 to put 33 construction paper strips together in order with glue sticks. 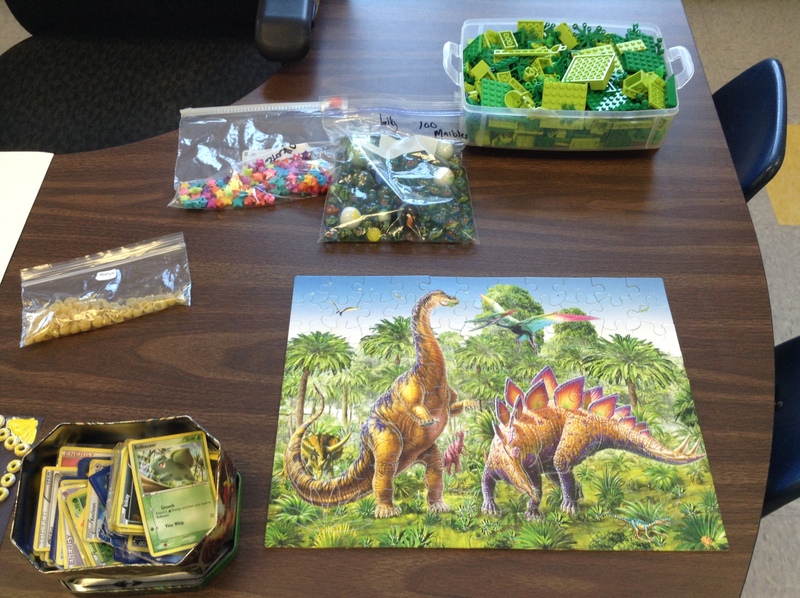 This was very challenging and required a great deal of team work. When they finished I added the #100 strip and everyone gathered together for a photo op with a long and colorful paper chain. In writing, everyone started a book titled “The Best Way to Spend 100 Dollars.” They also got their own “pretend” 100 dollar bill. At the end of the day we stopped writing 10 minutes early to enjoy our wonderful trail mix treat. It was very colorful and quite yummy! Enjoy the pictures. (As a side note, I apologize to Austin for labeling his coin baggy incorrectly with Jayden’s name.) The heart design paper was Chloe’s, the number beads board was Reuben’s, the painted Cheerios picture was Luke’s, the mini macaroni shells were Madelyn’s, the star beads were Mackenzie’s, the marbles were Lily’s the Legos were Jordan’s, the puzzle was Cole’s, the Pokemon cards were Garrett’s, the Fruit Loops picture was Jayden’s, the variety of coins was Austin’s, the pennies were A.J.’s, and the Q-tip tally marks were mine. What an awesome display!